A Special Sale (LESS than a DOLLAR!!) on ALL of my Lyme books for Lyme Disease Awareness Month! Happy Tuesday friends! I hope that y'all had a wonderful weekend and your weekend is off to a great start! This weekend seemed to fly by as we did a lot of packing and moving down to the cabin for the summer, hanging out with good friends, catching up with dear friends living far away, and spent time working on orders for the shop! My mom and I also went to some yard sales and rummage sales and I scored the NEATEST thing for the craft room at the cabin! I will have to do an entire post on it- because it was awesome. And it was only a dollar!! It was a lovely weekend- and I hope that y'all had a went good weekend too! 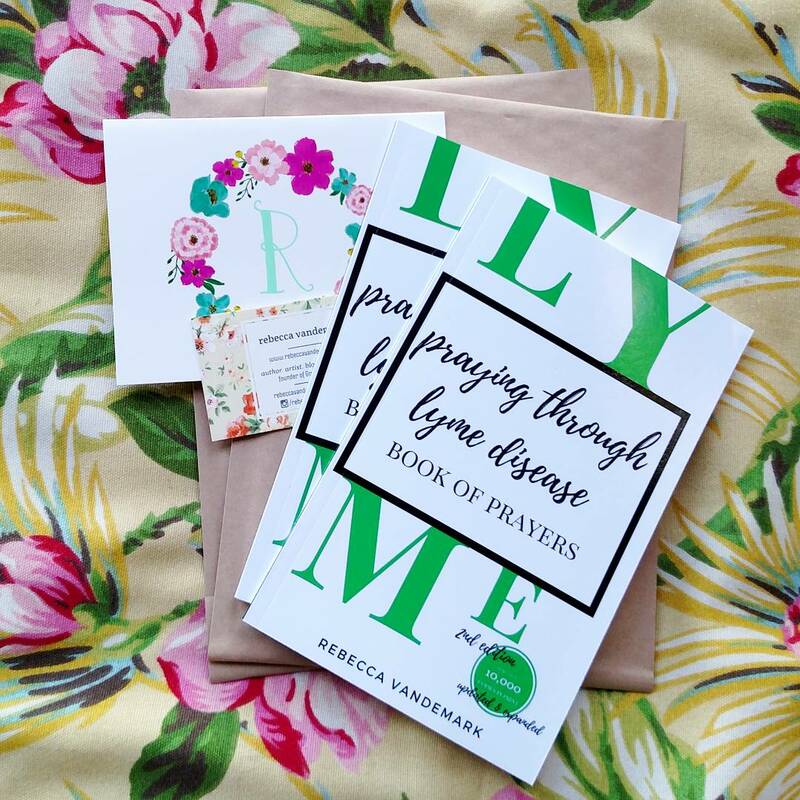 Another thing that I worked on this weekend was packaging up some special bulk orders of Praying through Lyme Disease and some of my other Lyme books, including When Truth Refreshes and the Christmas Lyme devotional, When Light Dawns. These are heading out to different countries! It is always humbling when this happens. Any order of any of my books is humbling and I am so grateful for your continued support of my writing. I have no words, just extreme gratitude. I have one request for this month- if you have read or will read any of these books- would you consider leaving a review for others to know more about them? It doesn't have to be long, but ANY reviews that help potential future readers learn more about them and this would be such an incredible blessing! Thank you! If are not a Lyme patient, but know a Lymie this would be a great gift to give them! 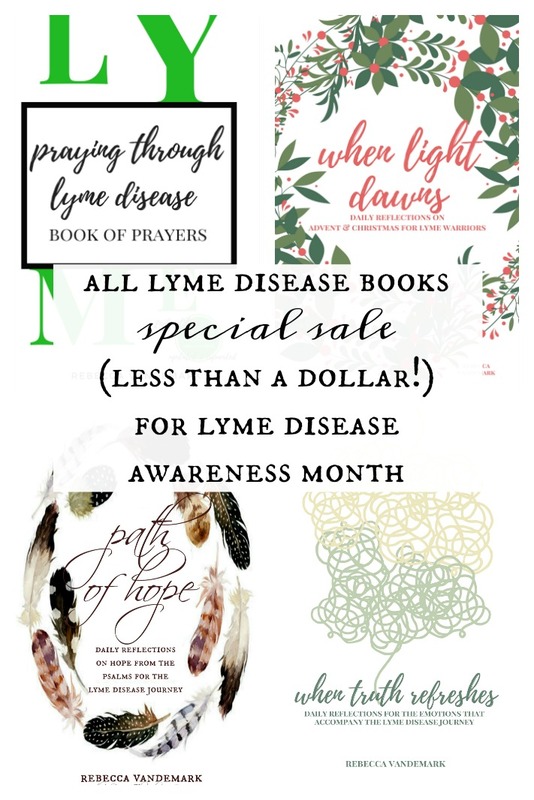 If you don't know a Lymie and would still like to help I have a list of Lyme patients who want to purchase this book but due to treatment costs can't afford to do so. If you would like to bless them anonymously please contact me or leave a comment and I will message instructions!! And finally: a portion of all proceeds of all of my Lyme book sales from this month will be donated to @globallymealliance ! Thank you for your support of not only my books but of Lyme patients around the world!